Jinbei, the Shanghai-based lighting manufacturer, has posted a teaser on social media for a new device called the Jinbei HD-2. The single image shows part of the back of a shoe-mount accessory with an LCD control panel and a swivel head, but it’s hard to say what it is at this point: a flash, a lamp or some kind of transmitter or studio controller. 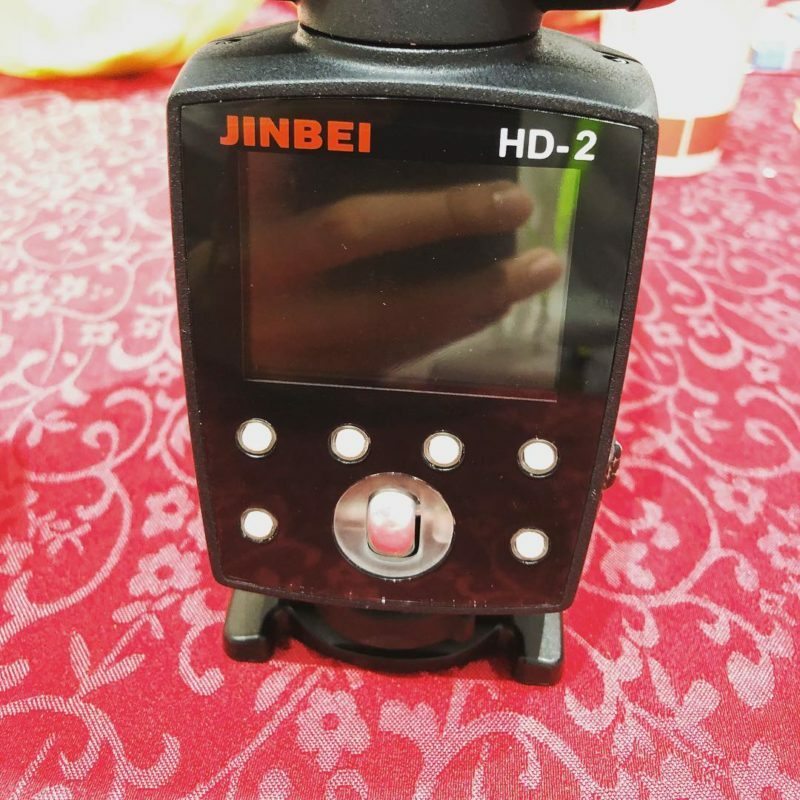 Some have speculated that the Jinbei HD-2 could be the Chinese company’s answer to the Profoto A1. 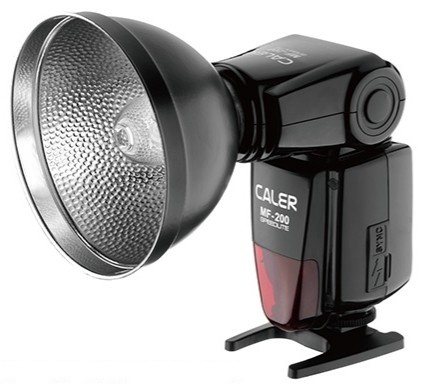 In fact, Jinbei already made a bare-bulb flash called the Caler MF-100, followed by the HSS-enabled MF-200, though these units were relatively basic: lacking TTL function and relying on an external battery pack, they were more of an answer to the Godox Wistro AD180. They may now be discontinued as the product is no longer prominent on the official Jinbei web site. The most likely thing, in my mind, is an updated bare-bulb flash with TTL capabilities and built-in lithium battery, plus radio capabilities compatible with the new TR-Q7 radio triggering system, allowing photographers to use a small flash alongside advanced TTL/HSS studio lights such as the Jinbei HD-610 (hence the “HD” prefix). It may even do double duty as an on-camera radio commander, which would indeed make it a rival to the Profoto A1, at least on paper and probably at a much lower price point. What do you think it might be? Share your thoughts in the comments below. Jinbei will be at stand C031 in hall 4.2 at Photokina next week.